Activities are planned taking in to account children’s interests this has included castles, prince and princesses, lifecycles, animals. Also within these plans are the children’s next steps in learning, ensuring that the activities are most relevant and appropriate for the current children. 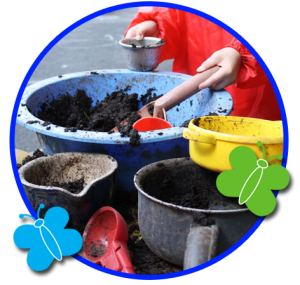 All activities are planned around the Early Years Foundation Stage. We believe play to be of vital importance to the development and learning process of pre-school age children. Through this the children learn to co-operate and socialise within a group environment. The children are taught to listen attentively and to feel confident when communicating with both peers and adults. 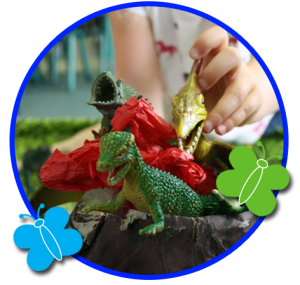 A wide range of stories, songs and rhymes are used daily and role-play is encouraged. We have a large selection of books in our library and children are shown how to handle them correctly as we aim to foster a love of books. Each week the children are able to choose a book to take home to share with their family. 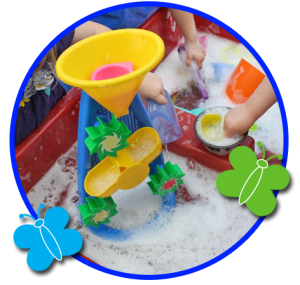 Sand and/or water are available for the children to experiment with and play-dough is always popular. Every session there is a different creative activity on offer. We have regular cooking sessions and enjoy our times of singing and making music with instruments. Our large stock of games and jigsaws encourages the children to take turns and co-operate within the group. 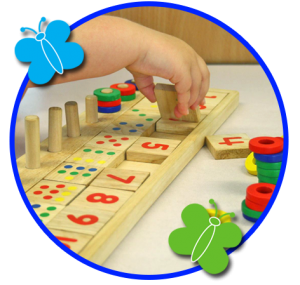 Bead-threading and peg boards are used regularly to help develop good hand-eye co-ordination. Mathematical language is introduced through practical activities: ideas of ‘bigger than’, ‘smaller than’, and ‘more’, sorting, matching, comparing etc. We sing many number rhymes and play number-matching games. The children are helped to recognise their names on a card each session. The foundations for children to learn to read and write are introduced with ‘phonic activities’ encouraging, initially, good listening skills by enabling children to distinguish sounds. Writing is also encouraged by giving children writing opportunities with a purpose, this may be putting names on art work, taking orders at the role play restaurant, drawing plans for a building on clipboards etc. Forest School is held weekly at Pre-School and encompasses all seven areas of learning. This child lead approach to children’s learning is fun and unhurried. A high adult to child ratio allows children to undertake new experiences and challenges whilst taking appropriate risks. This long term programme allows repetition where children come into contact with nature using all their senses. It allows every child to have a voice, especially those who find it difficult to communicate in more conventional environments. Our computers enable the children to experience a variety of computer-based activities at different levels. We aim to teach the children how to control a mouse and reinforce concepts of number, shape, colour and the alphabet, while they are having fun! The children are encouraged to explore the programmes and choose the games that they want to play, though we will suggest particular activities when we are trying to teach a specific skill. For some children, the greatest fun they have at Pre-School is when they are developing their ‘gross motor skills’ i.e. playing on our climbing frame, trampoline, riding one of our many bikes or sit ’n’ ride cars. Adjacent to our building we have an enclosed play area with outdoor toys and activities for the children to use during sessions.